MECKLENBURG COUNTY, N.C. -- A North Carolina woman fell to the floor in excitement after she found out she'd won $1 million in Wednesday's lottery. 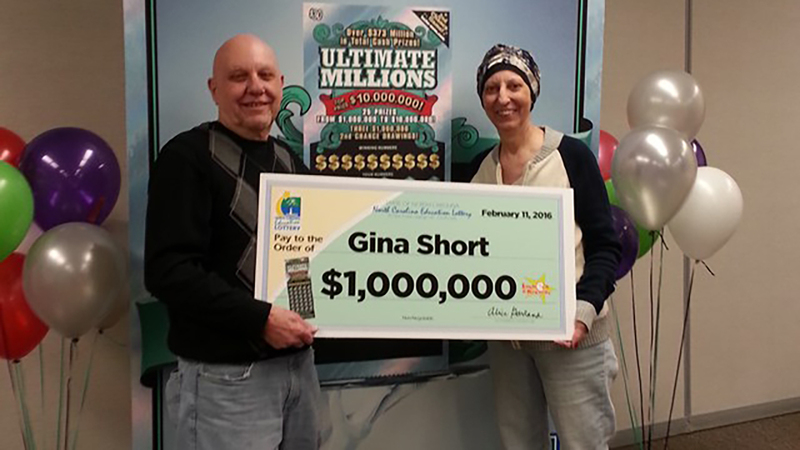 Gina Short was diagnosed with breast cancer six years ago and said she couldn't believe she'd actually won the grand prize in the first Ultimate Millions second-chance drawing. "If you would have told me, in a million years I still wouldn't have believed you," Short told lottery officials. "I would have said, 'No you've got the wrong girl,' because that's what I said to them when they told me I had cancer, 'No you've got the wrong girl.'" She said winning the prize feels like a second chance because of her cancer diagnosis. Lottery officials say she took the lump sum payment of $415,500 after taxes.